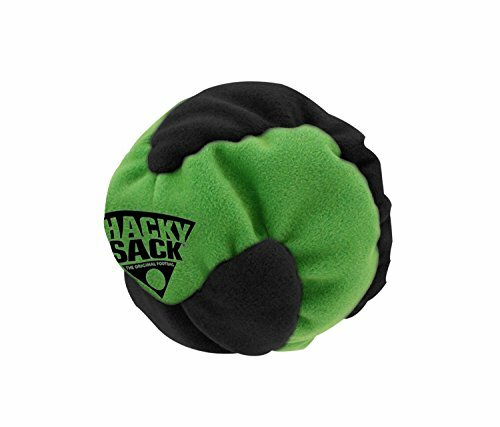 The Hacky Sack Impact is a super soft, plastic pellet filled, 3-panel synthetic suede footbag. With a unique twisting design, it is ideal for all levels of players. If you are looking to add a little more control to your game you'll love the Hacky Sack Impact. Specifically designed for beginner Hacky Sack play as it is heavier for easy foot management. Add a little more control to your Hacky Sack game with the Impact footbag. With a unique twisting design, it is ideal for all levels of players. Perfect for all ages! Made of synthetic suede & filled with super soft plastic pellets. Specifically designed for beginner hacky sack play as it is heavier for easy foot management. If you have any questions about this product by Mozlly, contact us by completing and submitting the form below. If you are looking for a specif part number, please include it with your message.